You've found the “U.S. Araucana Chicken Breeders” page here at Hobby Farm Wisdom! If this is the first time you have visited our site: Welcome! Araucana chickens are exceptionally rare and originate in South America. 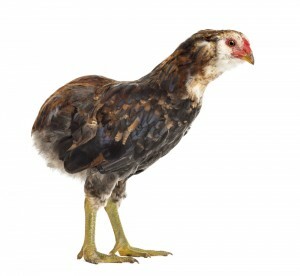 Breed standard Araucana chickens are rump-less and tufted although the tufted gene causes many of the chicks to die in their shells. The tufts aren’t symmetrical either and so Araucana’s can only be found through breeders. This breed is famous for laying medium sized blue-shelled eggs, not to be confused with Easter Eggers. The are small in size, weighing between 4 – 5 lbs and are dual purposed. Their colors can be either black, black red, golden duckwing, silver duckwing or white. They are hardy in the wintertime and they tolerate confinement but they are not a docile breed, being known to be broody setters.